Finally, the third new release of the weekend, Robin Bissell's The Best of Enemies, is at No. 6 with a low $4.5 million. In addition to the $53 million domestic opening, the film also earned quite a chunk overseas, giving it a total of $158.8 million worldwide. THE magic word at the box office over the weekend was Shazam! When you consider it only took a $21 million budget to make, its $25 million in domestic sales is a win. The superhero movie "Shazam!" opened with more than $53 million at the box office this weekend to lead all films, according to industry estimates out Sunday. However, every other film will be opening in less than 4,000 theaters next weekend. Astute Films fully financed the film, which was distributed by STXfilms. This beats the global opening weekend of Aquaman and Man of Steel. Dumbo flies in at No. 3 with $18.2 million, descending pretty rapidly for Disney. Directed byTim Burton, the remake of Disney's 1941 classic has surpassed $200 million globally, including $76 million in North America. 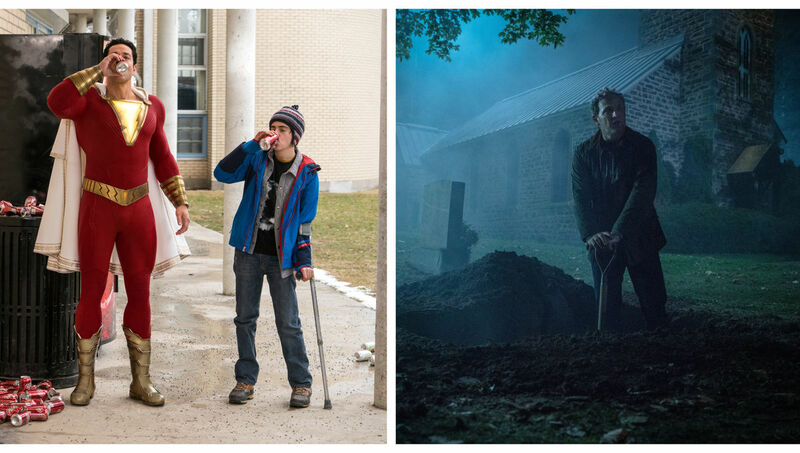 Stephen King adaptation Pet Sematary landed in third place with £1.3m, while superhero rival Captain Marvel came fourth with £1.2m in its fifth week of play to bolster a total that now sits at £34.6m. The psychological thriller, starring Lupita Nyong'o and Winston Duke, hit $200 million in ticket sales worldwide. Falling to the eight spot this week was last week's fourth-place finisher, the anti-abortion themed drama Unplanned, which added $3.2 million to raise its total to $12.5 million. Already the film is a success! It pocketed $30,426 for a per-screen-average of $10,142. Overall, ticket sales are still pacing around 16% behind past year, according to Comscore. That gap is shrinking as films like Captain Marvel and Us impress audiences, and Marvel's Avengers: Endgame, the studio's epic conclusion that is expected to shatter records, could help close that margin even more.